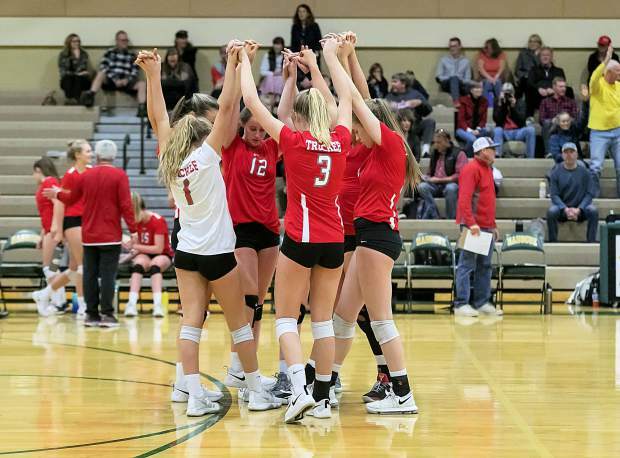 Truckee and North Tahoe lead their classifications after the fall sports season for the NIAA Award of Excellence, which is based off varsity teams’ performance in the classroom, on the field, and in the Citizenship Through Sports Program. The Nevada Interscholastic Activities Association recently announced North Tahoe and Truckee as the leaders in their classifications for the annual Award of Excellence in Academics, Athletics and Citizenship competition. Through the fall sports season, the Class 3A Wolverines and Class 2A Lakers have tallied the most points, according to the association, which is based on the schools’ varsity teams’ performances in the classroom, on the field, and in the Citizenship Through Sports Program. Each category is weighted equally. Spirit and Leadership points are tallied at the end of the winter sports season, and points will be deducted following the spring season for ejections and other acts of unsportsmanlike conduct. North Tahoe has never won the award but were runners-up last year. The Lakers tallied 850 points, thus far, to hold a 70-point advantage over five-time defending champions The Meadows. Incline, a two-time past winner, is in third with 600 points. Following successful runs at holiday tournaments, the Truckee boys and girls’ basketball teams will return to action at home for the first time in more than a month. Both teams will jump back into Class 3A Northern League play by hosting Spring Creek on Friday, Jan. 4., beginning with the girls’ game at 6 p.m. The Lady Wolverines won a trio of games in Vacaville during the holidays and will look to pick up their first league win as well against the Spartans (4-3, 3-1 Northern League). The North Tahoe boys’ basketball team closed out 2018 in a big way last week with a buzzer beater by junior Cameron McAndrews to break the hearts of the Battle Mountain faithful. On the road and after the Longhorns had tied the game at 48-48 with 5.2 seconds remaining, senior Liam Bickett-Walsh found McAndrews in the corner, according to Head Coach Devin Ginty, for a “buzzer beater shot from an impossible angle,” as he fell out of bounds. “We played probably the cleanest half of basketball so far this year in the first half; the boys were executing and sharing the ball offensively and really putting on the pressure defensively. It was awesome to see our guys play to their potential and play with a high level of intensity,” said Ginty. McAndrews led the Lakers with 19 points and was 5 of 5 from downtown. Bickett-Walsh added 11 points. Junior Lucas Valois scored 10 points, and junior John Zapata added nine points and nine rebounds. The Lakers (8-4, 2-2 Northern League) will next travel across Nevada to face West Wendover ( 10-3, 4-0 Northern League) on Jan. 4. The Lady Lakers will jump back into league play as well, traveling to play West Wendover on Jan. 4. The girls will return home for the first time in a month when they host Silver Stage on Jan. 15.